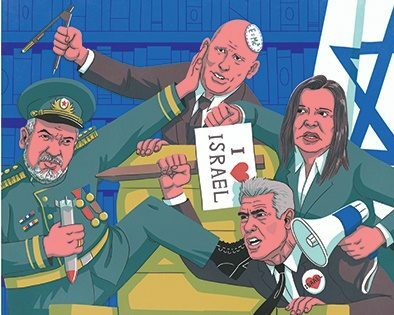 Image by Yonatan Popper, for the Israeli magazine The Liberal. The upcoming elections in Israel are drawing worldwide attention. The indictment of Prime Minister Benjamin Netanyahu has shaken up the political arena and led to surprising coalitions and the formation of new parties. What are the stakes of these elections for Israel’s various populations and political constituencies? What effect might they have on the Israeli-Palestinian conflict? What role will Trump’s “deal of the century” play in these elections? Join faculty and graduate students from the Stroum Center for Jewish Studies for a pre-election discussion of these issues and more.